Among the oldest international fashion labels to enter the Indian high street, Benetton’s advertising philosophy is based on the belief that ‘communication should not be commissioned from outside the company, but conceived from within its heart. 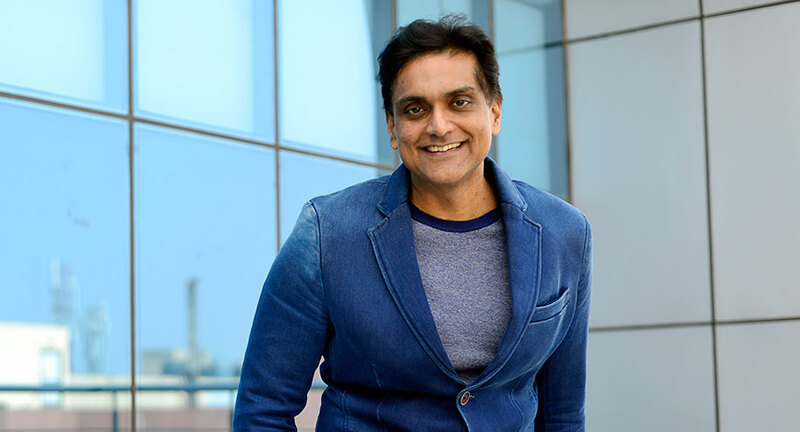 On its quest to overthrow stereotypes Benetton India’s CEO Sundeep Chugh explains how the brand packages its experiential campaigns to sensitize people to the idea of tolerance, peace and respect for diversity. 1. What is the 'Benetton experience' you wish to extend to your TG? The Benetton Group’s ethos has always been to combine business growth with social commitment, competitiveness, care for the environment and ethics. Women empowerment and working for the rights for women has been a paramount objective for Benetton. We launched the WE Programme in October 2015. It is a long-term sustainability programme by the group aimed at supporting the empowerment and legitimacy of women worldwide. Based on the Sustainable Development Goals set by the UN for 2020, with the WE Programme, Benetton has been working to achieve its objectives of attaining gender equality and women empowerment through five key efforts: sustainable livelihood, non-discrimination and equal opportunities, access to health, quality education and the end of every form of violence against women around the world. With the Women Empowerment Program, Benetton sticks to its long history of social commitment and moves on to recognize that gender equality and the empowerment of women are not only human rights, but necessary steps toward building a peaceful, prosperous and more sustainable world for all. Under the WE Programme, Benetton has been undertaking various noteworthy initiatives to work towards the many facets of women empowerment and legitimacy. 2. Where does experiential marketing stand in your marketing mix? Experiential marketing has always been a very important aspect of our marketing mix. Benetton as a brand has always maintained that their customers and quality of their products is the top most priority for the company. The best way to reach out to our customers is by establishing contact with them. Across the globe, we have undertaken campaigns that touch various aspects of social issues. equal opportunities, access to health, quality education and the end of every form of violence against women around the world. The brand has been working in sync with this and thriving towards creating engagement activities targeting the target audience and consumer. 3. What are some of the experiential campaigns executed by the brand? Benetton Group has always been taking strong stands and supporting social causes with no diplomacy; it has been a part of our DNA. We have run campaigns and launched programs to subvert stereotypes, protest war, fight famine. There was even a campaign to encourage entrepreneurialism in Africa. One of our recent initiatives in India was the #UnitedByDonts campaign that was aimed at the safety and empowerment of Indian women. The campaign echoed the brand's commitment to India, promoting gender equality and women's safety as the priority. The idea was to look at the various channels which women in our country are facing and work towards them in a positive way. Create awareness of the issue which women are facing today and work as an enabler. We want to create a lot of positive thoughts around the mind of the citizens in our country, so that issues pertaining to women are addressed. The United by Don’ts party held in Nehru Park CP that invited every women from the city to consider it a safe space to just be, while they enjoy the company of several other women who knew exactly how they felt on a daily basis, whether it’s at home, in the workplace, or with friends. The campaign was a call to everyone to get together and unite against the don'ts at The Don't Party. The most recent #UnitedbyHer was another such campaign that was aimed at reaffirming the brand’s commitment of addressing typecasts and supporting women’s health. Launched on the occasion of Breast Cancer Awareness Month, Benetton India announced this special initiative to highlight the importance of breast awareness with #UnitedByHer campaign. The campaign was launched with a video film narrating a passionate and poignant story of a woman who uses her strength to rise up after the so-perceived fall in her life. This was supported by a series of events in association with Indian Cancer Society - Delhi to create awareness about breast cancer and mastectomy including distribution of awareness cards at top stores in Delhi for free check-up camp at Detection Centre of Indian Cancer Society at Connaught Place and setting-up screening camps that included digital blood profile, chest X-ray, ENT, Breast cancer and cervical cancer check with Pap Smear test in Village Narkola, Gurgaon for underprivileged women to support them through early detection. 4. What is the response you've seen? Keeping in mind the events we have curated, organized and executed in the past few years, we have received an incredible response for all our experiential led campaigns. ‘United by Don’t, the campaign undertaken by us earlier this year was a huge success. The party was attended by over 3,000 people. The event - #UnitedByDonts campaign, had youth from across the country come together to raise their voice against gender discrimination. Hosted by Mini Mathur, the evening witnessed performances by the Delhi Indie Project and the famous Shillong Chamber Choir. We also felicitated woman who have stood out and made a mark in society. For our new campaign launched last month (October 2016) #UnitedByHer, to create awareness against breast cancer, Benetton was instrumental in generating an immense awareness amongst Twitterati for the subject. #UnitedByHer trended for 4.37 hours generating more than 14.2 million of reach. Benetton has been able to garner an astonishing reach of 816,000 on Facebook with more than 9,000 reactions testifying that Mastectomy was a much needed-to-discuss topic amongst Indian women. Benetton had also set up a mobile camp for Village Nakhrola for awareness amongst the underprivileged women on 3rd November 2016 and had woman visiting for checkups. 5. How do you measure the success of your experiential campaigns? Brand sentiment and the art of measuring it is a complicated task. As most of our campaigns connect with the consumers emotionally, the task at hand is to measure the emotional quotient garnered by the campaign. Since majority of our TG in on Social media, it becomes a very significant platform to measure the outcomes of any such experiential campaigns. Once a campaign is launched and till a week post its execution, we need to monitor the social media activity across platforms. New organic followers, how much people are searching for or talking about our brand, trending hashtags etc. are a few ways we tend to monitor the outreach of our campaigns.